Here’s how to make it so your grandma AND you can live life on your own terms… and become rich while doing it. I don’t know if anyone has ever helped their grandparents make money online… but if you were going try… here’s why you should have her watch THIS video! The man of the hour is SEAN WHALEN! and oh yeah, has made over $1.1 MILLION coaching and consulting people with the business model he is coming to share with us on Thursday, July 13th, 2017. David, I don’t have same personality/interests/strong opinions as this guy…. Neither does my grandma. How could this possibly apply to me or my business? I have good news – it doesn’t matter what you do. 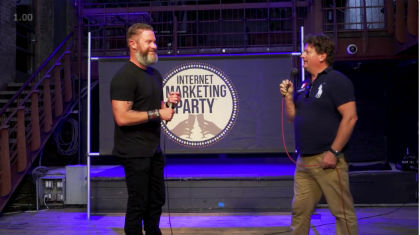 Whether you are a championship cow-milker, a plumber, or an internet marketer, the techniques and principles Sean is coming to share with us can be applied to any industry or niche. It’s time for you to monetize using you. Sean will show you how. Get excited. Grandma can finally turn that cross-stitching class into an empire. You can turn yourself into a brand and make millions. Do it for Grandma. Do it for you. Go watch the video NOW.